Sell Your Books ~ Ship For FREE ~ Get App & Scan & Start Earning Money Now!!! 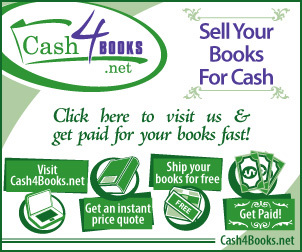 Visit Cash4Books.net by September 14, 2012 to get your price quotes and sell your books. During checkout, enter bonus code LaborDay2012 to get paid an extra 10%. Print your free shipping label and send in your books!